Sometimes you don’t want to spend a lot of money. Most of the time it’s because there isn’t a lot to spend. Which is how I got this camera. 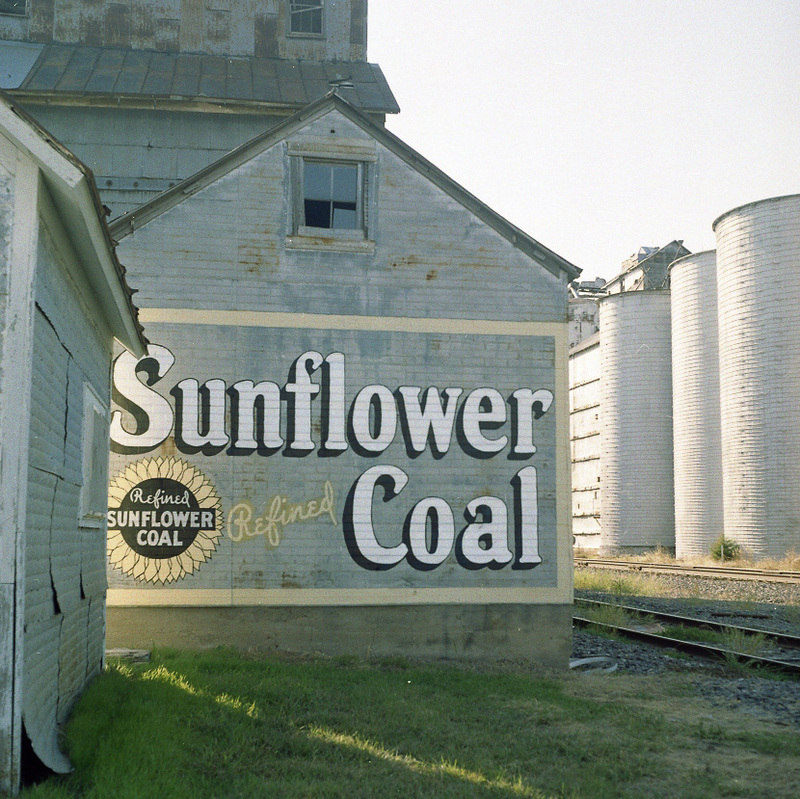 Yashica has been building medium format film cameras since shortly after the Second World War. 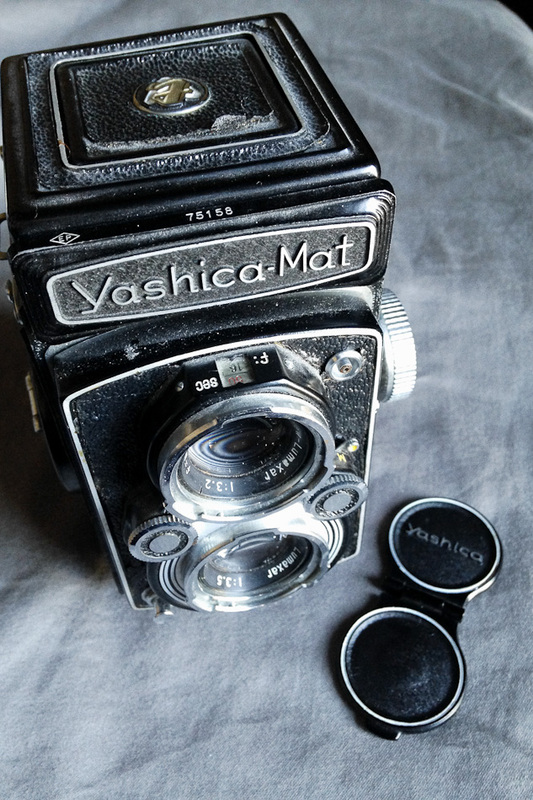 The initial cameras had single letter designations, like the Yashica A. 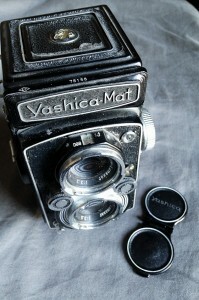 The Yashica Mat was the first of their cameras with a film advance crank instead of a knob. Yashica doesn’t seem to have had much interest in numbering their cameras sequentially, or even keeping records about their serial numbers. The number on this camera is meaningless. All I know about it for sure is the model was introduced in 1957, and this one has a later 80mm lens. 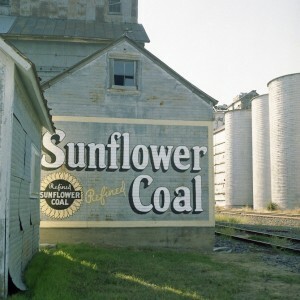 Wilson KS on Agfa Optima 100. I love that stuff! When I bought it, it didn’t work at all. The shutter had jammed, which is a common problem with Yashica Mats. But since I had paid a pricey $25 for it, I wasn’t concerned. I found a repair guy in the basement of a mid century modern in the town I used to live in who put it back right for another $25, and some beer. Best repair tab ever. It turns out the self timer on these things is the root of most of their problems. He permanently disabled mine, so it should be safe from here on out. It’s crusty, the leather has dried out since I brought it up the mountain, and it looks a mess. But the lenses are clear and perfect. That Tessar design 80mm is sharp enough to shave with. The Copal shutter is quiet and accurate. I love it. TLR cameras (Twin Lens Reflex) take some getting used to. You look though the top lens to compose. Since there is no pentaprisim on the camera, you have to move your hands in the opposite direction to frame things. Move camera left to move frame right. Fine focus is done with a built in magnifying glass. The bottom lens actually takes the picture. It uses any 120mm film, but can not accept 220. Later models like the 124 and 124G can use 220. It’s 100% mechanical- no meter. In addition to being cheap, it has other cardinal virtues. It’s the lightest medium format I own, except for the plastic cameras. Which means it gets to come on a lot of hikes. It’s pretty robust, as long as you don’t abuse the film transport. It’s really an excellent piece of machinery. Yashica is long gone, but a gentleman in Atlanta named Mark Hama used to put them together on the factory floor years ago. He still does repair work and CLA’s so if it breaks badly, he can fix it back up. I’ve taken portraits with this thing, shot hikes and cross country road trips. It’s a great workhorse, and I’ve spent more on the film I’ve put through it that I spent on the camera. It’s probably the best $50 I ever spent. Previous Post Getting out there: I swear leaving the couch will not kill you. Next Post Bicycle as toy, or bicycle as transit? I have recently been bit by the TLR bug. I own a Yashica Mat with a stuck shutter. Can your good buddy help me out too? My guy retired a few years back, and I think he has passed on, now. The gold standard of Yashica repair is Mark Hama in Atlanta. He’s not fast, but he’s reasonable and good.